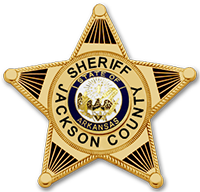 On Friday, April 10, 2015, investigators with the Jackson County Sheriff’s Office obtained and executed a search warrant at 1407 Dill Street in Newport, Ar. Investigators received information on stolen property being at the residence. Upon the execution of the search warrant Jeremy Curtis Cooper and John Michael Sullins were taken into custody. Investigators located numerous items of stolen goods controlled substances, and drug paraphernalia. Jeremy Curtis Cooper is being charged with Theft by Receiving a Class “D” Felony and Possession of Drug Paraphernalia with intent to use a Class” “D Felony. John Michael Sullins is being charged with Theft by Receiving a Class “D” Felony; Possession of a Controlled Substance a Class “A” Misdemeanor; and Possession of Drug Paraphernalia with intent to use and Class “A” misdemeanor. Cooper and Sullins will appear in front of the Honorable Barbara A. Griffin, Newport District Judge on Monday, April 13, 2015.